Hi Everybody, Happy New Year! We did it! We made it through another change of year, successfully, Congratulations to all. Now, with that said I want to welcome any “new” readers, and I would like to say, I enjoyed every minute of last year, on this wonderful Blue Boat Home, right here in Switzerland, and with my UU home. Continuing this month with the Soul Matters Monthly Theme, we will explore “Possibilities” in January. Come and join us and celebrate our home UU Baselhome, together. We hope to see you Sunday! Best wishes, and again Happy New Year! 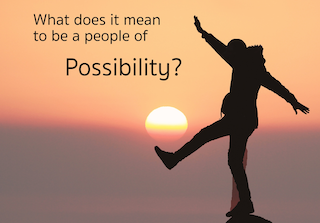 Continuing this month with the Soul Matters Monthly Theme, we will explore “Possibilities” in January. Everyone is welcome to join all the activities, just please send a little message to, s.m.buchser@gmail.com by Saturday midnight, to let me know if you’re joining the Fondue Fun. That way we can organize enough food and beverages for everyone. See below for more details. Come and join us and celebrate our home UU Baselhome, together. We hope to see you Sunday! UU Board of Trustees board meeting at 13.30, all are welcome to observe. UUB’s New Year’s Fondue Celebration starting at 17.00, around the Lohnhof. Contact me at s.m.buchser@gmail.com by Saturday midnight, if you want to join in the Fondue Fun. Help wanted: Internal Communications Coordinator: Want to learn how to work with WordPress? Contact a board member.